MultiBrief: Can carrying naloxone help combat opioid overdose deaths? Across the United States, reports of opioid abuse and related deaths have become an all-too-common occurrence for many Americans. With death tolls continuing to rise and such a wide impact on the population, regardless of background, immediate steps must be taken to address the issue. Efforts to shine a light on specific methods to combat the epidemic have been on the rise. President Donald Trump gave an ambitious speech last month on his plan to combat the opioid epidemic, which would use the death penalty for drug dealers in some cases. This has led to greater attention being placed on the magnitude of this growing problem. The most recent landmark initiative is urging Americans to carry naloxone (Narcan), an opioid antagonist. U.S. Surgeon General Jerome Adams, M.D., recently issued a national advisory "emphasizing the importance of the overdose-reversing drug naloxone." 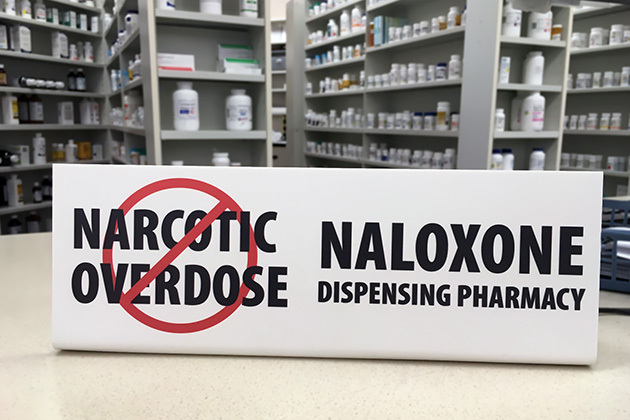 "Knowing how to use naloxone and keeping it within reach can save a life," Adams noted in the statement, which advised the public to ask their doctor or pharmacist about obtaining naloxone and to get themselves trained to administer it in an emergency. As it currently stands, 46 states allow naloxone to be purchased without a prescription. The purpose of having naloxone on hand would be to revive individual who may be experiencing an opioid overdose. The key signs of overdose that may warrant the use of naloxone include confusion, pinpoint pupils, cold or clammy skin, and breathing difficulties. This message is unique and of great significance because the last national advisory that was issued by the surgeon general was back in 2005. This only serves to highlight the gravity of the opioid epidemic and the lengths that will be taken to address the issue. Approximately two-thirds of all U.S. overdose fatalities in 2016 involved opioids, according to the Centers for Disease Control and Prevention (CDC), and those 42,249 reported opioid overdose deaths surpassed the 41,070 Americans who die of breast cancer each year. With such a high number of deaths, an immediate call to action such as this was urgently needed to save additional lives from being lost. The increase in the expansion and availability of naloxone may prove to be a monumental aspect of the public health response to the opioid crisis. With this awareness comes the education on how to appropriately administer naloxone to an individual who may be experiencing an overdose. Additionally, the CDC informed healthcare providers to offer naloxone to those individuals who may be deemed to be at risk for an overdose. The overall goal of this new landmark advisory is to save lives from opioid overdoses, and only time will tell if the initiative produces the desired outcome.